This chart of the NASDAQ Composite is overlaid with a cumulative advance/decline line, and the individual NSADAQ advances and declines are at the bottom with five day moving averages. 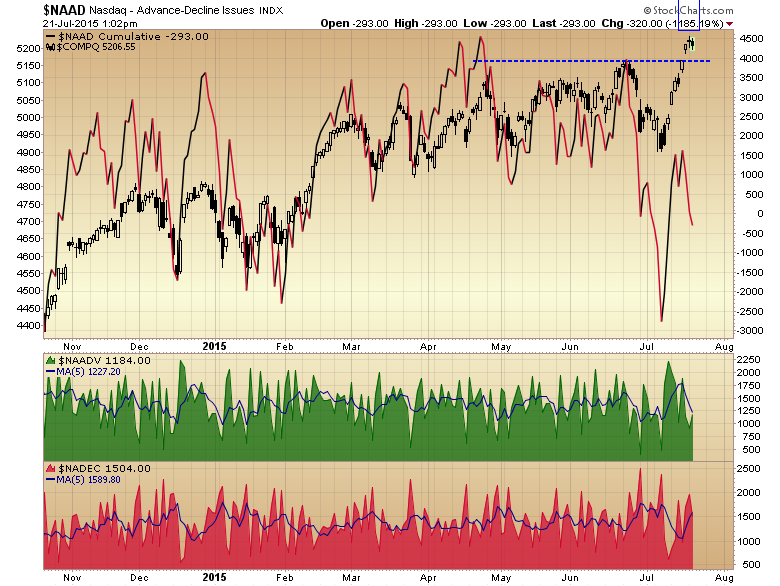 The divergence in the number advancing versus declining shares can be seen as the index makes new highs. 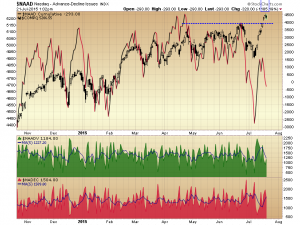 This of course could correct, it is a short term divergence, but it could also be a signal that the rally in the tech stocks is nearing a conclusion.